What stories are told about teaching and learning on TV and in film? And how do these stories reflect, refract and construct myths, anxieties and pleasures about teaching and learning? 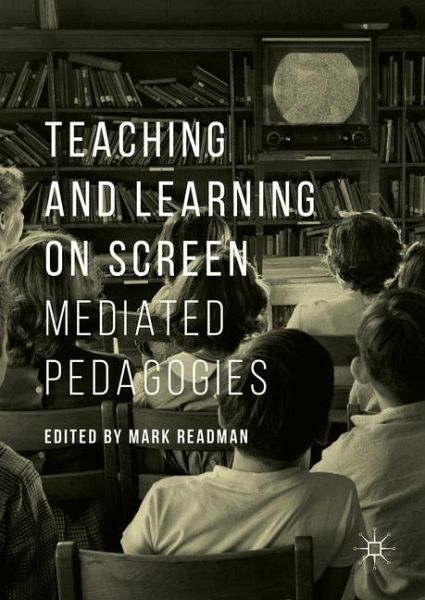 This collection looks at how pedagogy is represented on screen, and how TV programs and films translate pedagogic ideas into stories and relationships. International in scope, with case studies and analysis from the UK, US, Australia, Turkey and Brazil-the book adopts a critical stance in relation to the ways in which theories of learning and myths about education are mobilized on screen. 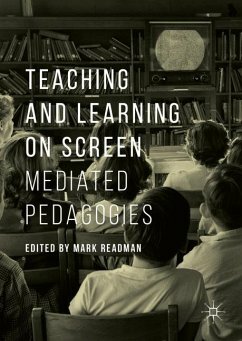 Teaching and Learning on Screen: Mediated Pedagogies provides a stimulating addition to the field of media and cultural studies, while also promoting debate about particular pedagogic models and strategies that will contribute to the professional development of educators and those involved in teacher education. Mark Readman is Principal Academic in Media Education at Bournemouth University, UK, where he teaches reflective practice at Masters and Doctoral level on professionally oriented programs. His research and publications include work on the rhetorics of creativity, screenwriting, and the generation of knowledge through practice.